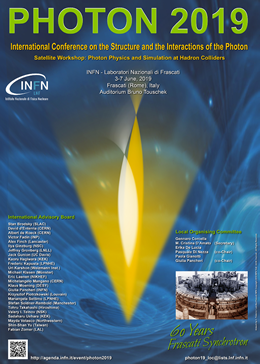 PHOTON 2019 - International Conference on the Structure and the Interactions of the Photon. 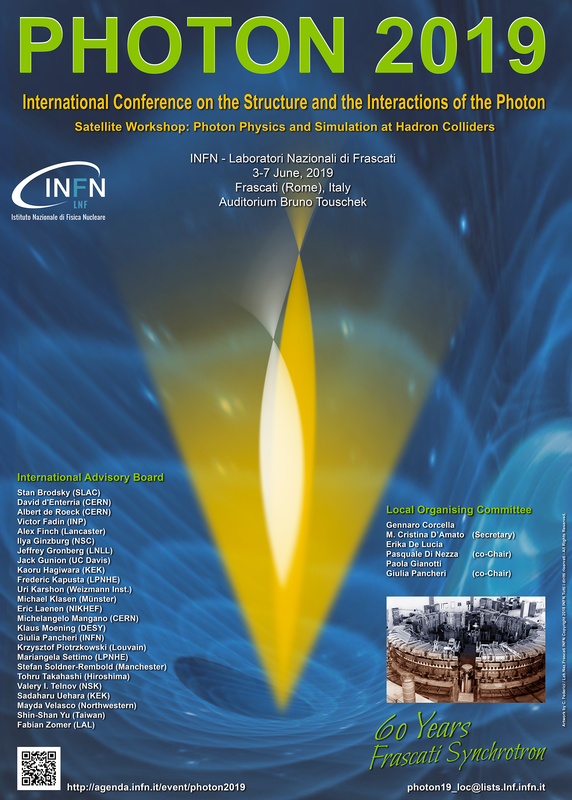 Satellite Workshop: Photon Physics and Simulation at Hadron Colliders. The conference scientific program will include topics related to photon-photon and photon-hadron collisions as well as final-state photon production at current and future colliders. In addition, high-energy astrophysics gamma-rays, and photon-related searches of new physics (axions, dark/hidden photons, ...) will also be discussed. The conference format consists of talks in plenary sessions only. The LOC offers a number of young researcher grants to attend the conference. Interested participants are invited to send an e-mail to photon19_loc@lists.lnf.infn.it with their motivated request for support.